Breathe life into your dragons and prepare them for legendary battles! Reclaim your beloved homeland by rebuilding Dragolandia, breeding cute baby hatchlings, and raising them into powerful warriors to fight off the Vikings. There are over 100 species of unique and highly detailed dragons to discover as you become the ultimate Dragon Lord in the most interactive and beautiful dragon breeding and battling game! You'll never stray far from your dragon paradise with the handy Apple Watch companion app! With a look and a tap, you can collect coins from your Time Habitat and check when eggs will hatch. You will also get the exclusive Tick Tock Dragon! 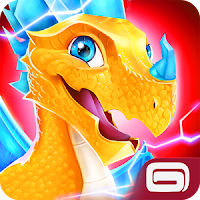 - Collect and discover all kind of different dragons! Discover Dragolandia in a whole new way! - Fountain of Youth: Bathe your dragons in the magical water and turn them into babies again! - Totem of Friendship: Get social points and earn new rewards! 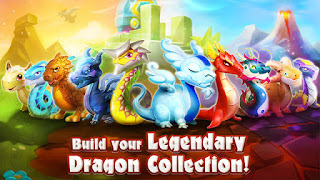 - Collect 11 brand-new dragons including the Firework and Moonlight dragons! - Daily Missions: Collect all the puzzle pieces and win rare dragons! - New Farm level and food types will bring variety to your dragons' diet! - Re-Breed icon to repeat your latest breeding!